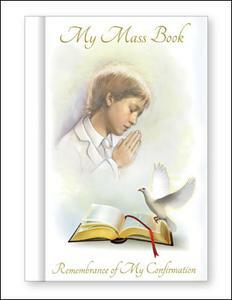 CATHOLIC GIFT SHOP LTD - Boys Confirmation Prayer Book with Prayers for all Occasions. Boys Confirmation Prayer Book with Prayers for all Occasions. Boys confirmation hardback prayer book with prayers for all occasions including, the new order of mass, Confirmation rites, Propers for sunday and holidays. Size: 6" x 4 1/4" with 128 pages.